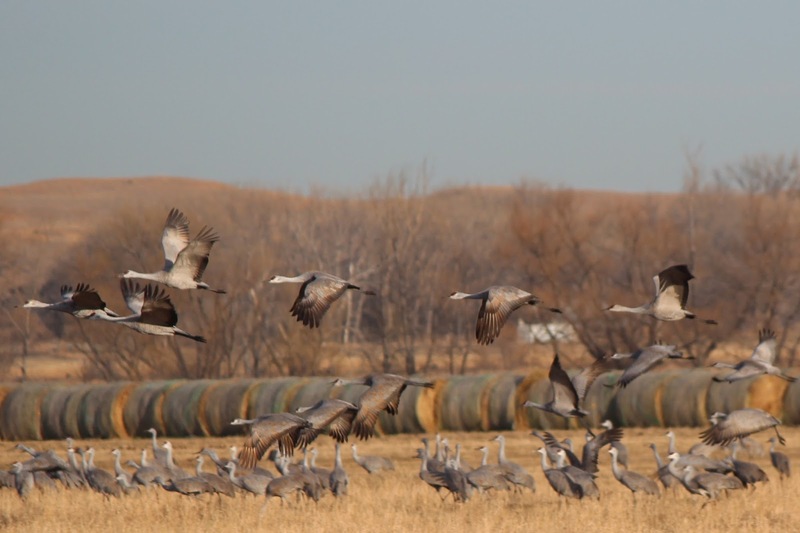 There's one thing that Nebraskans look forward to during these long, cold, dark days of winter, with incessant snow and ice, and that's the coming of the Sandhill Cranes! 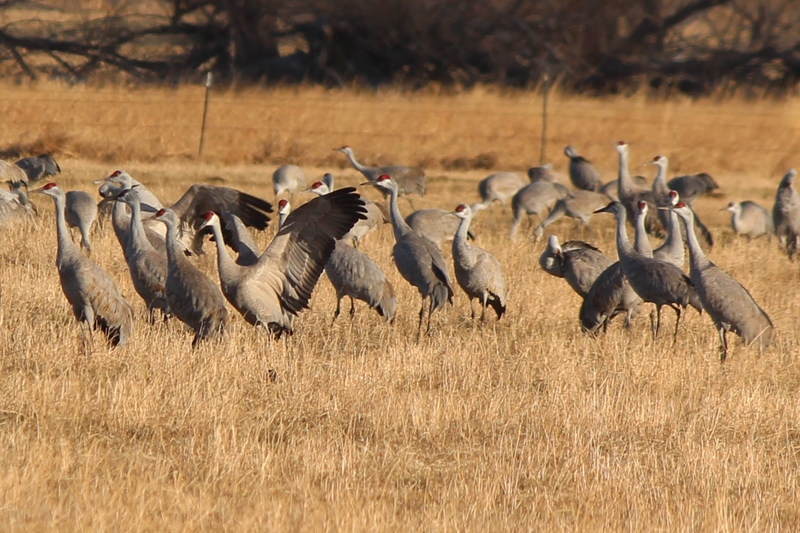 Nothing renews the hope of spring quite so much as the song of the Sandhill Cranes! 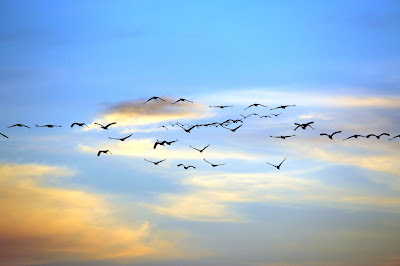 A bit later this month, we'll start to hear the first of the calls high overhead as the forerunners of the 600,000 strong migration make their way to the Platte River Valley. Between Grand Island to the east and Sutherland to the west (and even a small enclave near the Oshkosh area on the west end of Lake McConaughy), these birds will spend six weeks here eating bugs and waste grain in our fields and meadows, gaining weight and strength for the nesting season that they may travel as far as Siberia to enjoy! Here in the Lincoln County area of Nebraska, an estimated 100,000 will gather in the 25-mile stretch between North Platte and Sutherland. The best way to experience these is by using a vehicle as a mobile viewing blind and driving the back roads north of Highway 30. Seeing them in the fields and pastures is where you'll experience their incredible dance as they attract mates and strengthen couple bonds. However, seeing them on the river is an incredible experience as well. The Nebraska Game and Parks Commission has placed a blind on the North River Wildlife Management area north of Hershey. 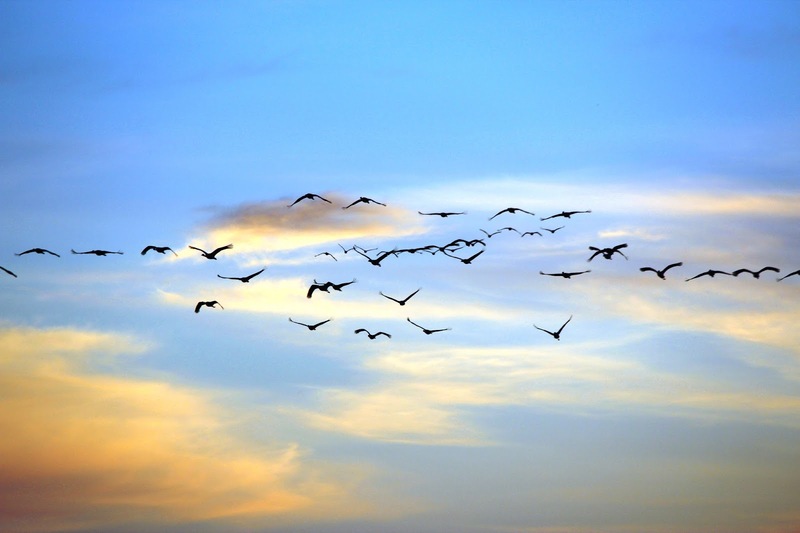 To avoid disturbing the birds in their roost, you'll have to hike in in the late afternoon and hike out after full dark. In the morning, you need to hike in in the full dark and stay in the blind until all of the birds have left the river. It isn't a hardship, though. 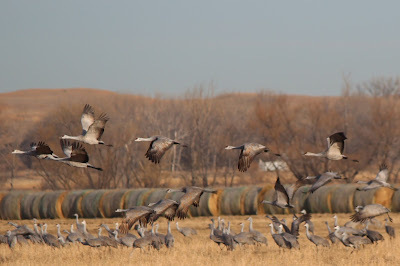 In addition to the Cranes, you'll have the chance to experience lots of other wildlife as well. Whatever you do, don't spend your lifetime without experiencing the Sandhill Crane migration!